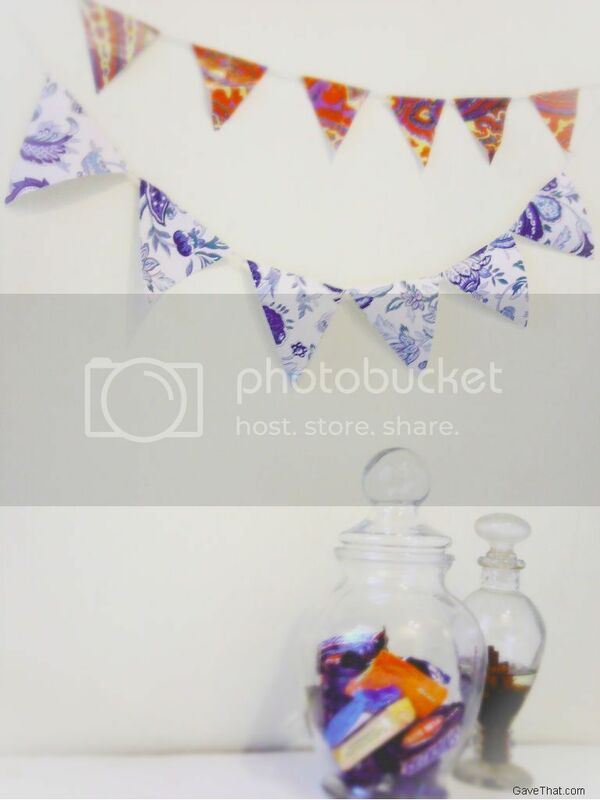 Over the past few months a little collection of ways to recycle wrapping paper has come together, including the simple flag garland above using vintage gift wrap. Tearing through pretty wrapping paper always caused some pangs of guilt, especially as a child, that I've always been on the lookout to reuse bits and pieces in some meaningful way. For more ideas and projects, from pencils to paper bows, see more ways to reuse wrapping paper here.